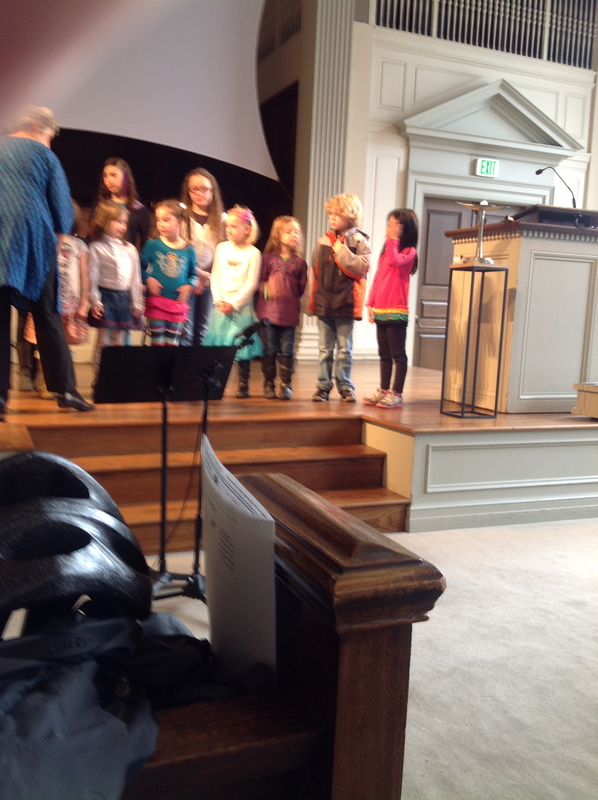 Downtown Sunday 8: Busytown and Choir. So in Sophia Singers the kids were supposed to be the audience for the 8-10 year old choir called, Oh, I forget now. Something about trees…while they practiced for a performance in the chapel. But then only one kid showed up (spring break, maybe?) and she did not want to sing alone. So they got volunteers from Sophia Singers who knew the same song to volunteer. Aaron was definitely not. gonna. do it. But Naim was reluctantly coerced. A couple more older kids did show up, and instant choir performance. In which Naim would not remove his coat. But it went well. Nik had stayed home with Avery, so missed it. This picture was actually taken during their trial run before services started. Didn't want to whip out the iPad and photo them during. Next we went to Tropical Cafe to kill time before going to NWCT to see BusyTown. 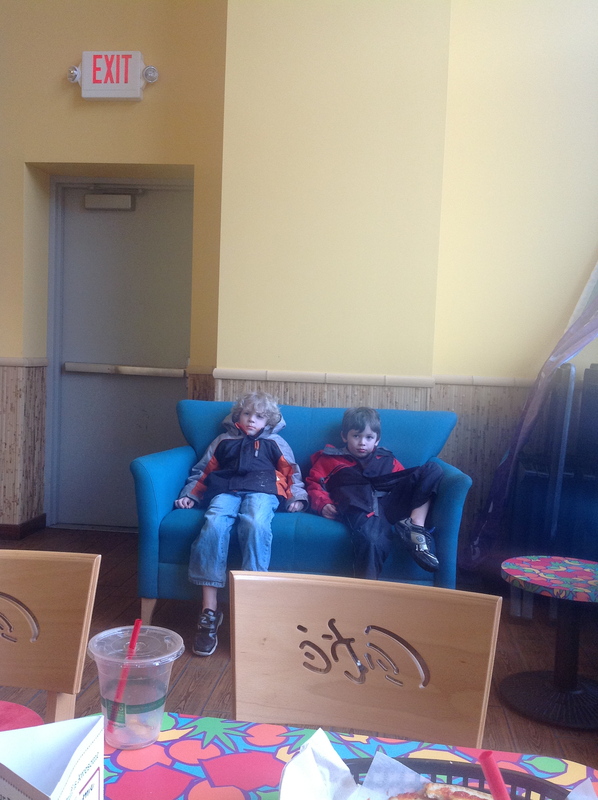 Here are my kids watching NCAA basketball final four with Kansas and I forget who…Aren’t they excited? Then we went to see BusyTown, which was based on Richard Scarry’s “What Do People Do All Day?” It was cute and they liked it. They got to meet John Ellingson afterwards, but Aaron was kind of being an overbearing brat. John Ellingson did not star in this one, he had no lines. 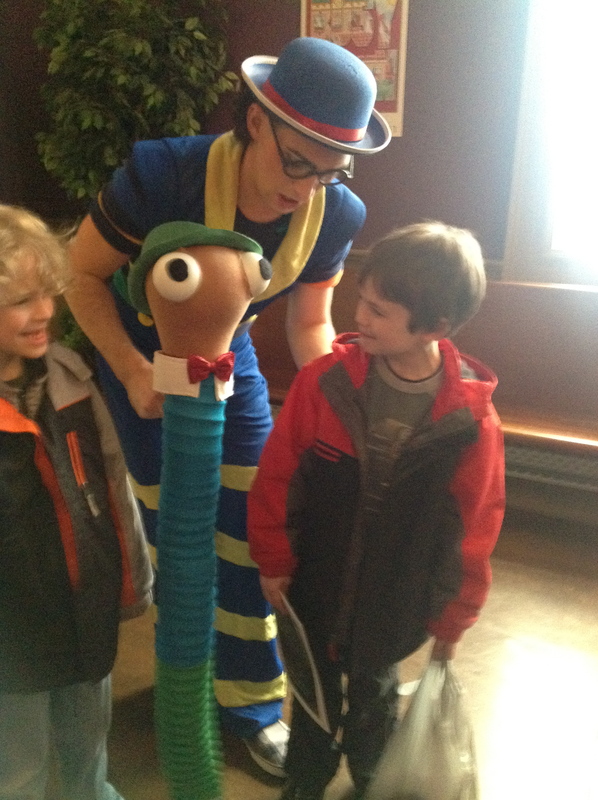 He was mostly a puppeteer with the character "Lowly Worm." When we got home, I looked at the book, and yup, on every page was a tiny worm somewhere, if you looked closely enough. A good day all around. I’m really enjoying Downtown Sundays. Missed the Ave, though. I’m getting used to him being my constant appendage. Happy to see him when we got home. 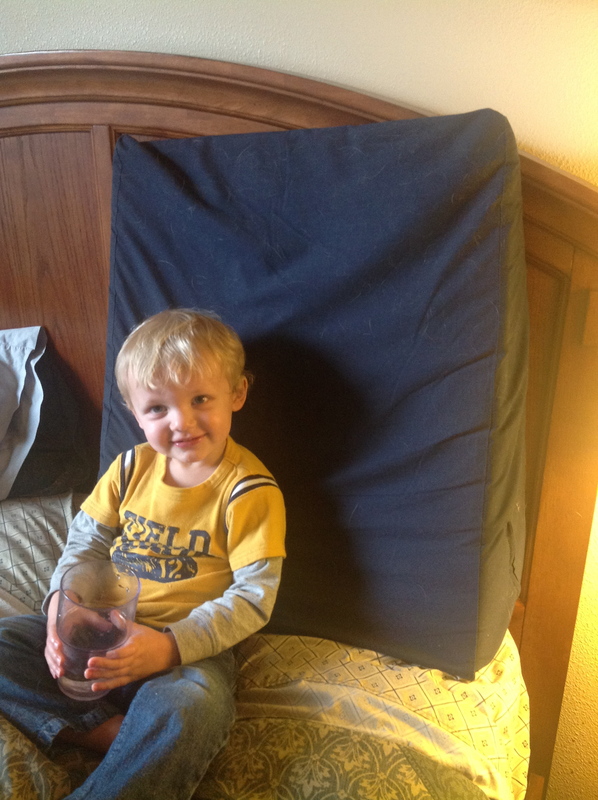 Hanging with the Avery and his big cup that he will soon spill on the bed.